Naah, not really. I mean, a bunch of brilliant high schoolers from John Muir High’s Arts, Entertainment and Media Academy (AEM) did spend some time at Echo-Factory, but only because we were part of a (mandatory) school trip. The AEM program students were spending the day touring local creative businesses, in an event organized by local-amazing-arts-organization The Armory. After a tour of the agency, we went over the educational backgrounds of some of the agency’s creative employees. 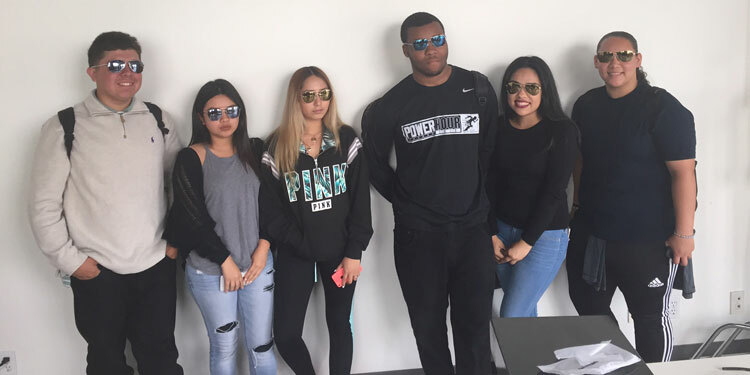 Then, we asked the AEM students to help us out with a real world project for Top Gear Sunglasses. 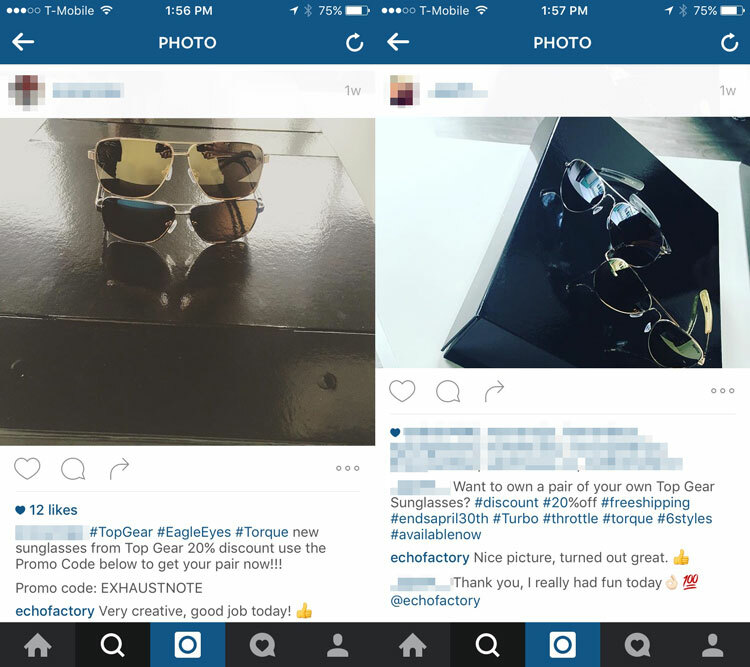 Their task: create the greatest Instagram post in the world, combining a shot of Top Gear Sunglasses, with a 20% off promo. Their results were, as you might expect, brilliant. Then, like cool mom-jean-wearing parents everywhere, we made them pose for a group photo. In all seriousness, the students were amazing. It was a great opportunity for us to be able to spend some time with them, and we’d count ourselves lucky if they dropped off an application in a few years. Thanks to The Armory for organizing such a great event, and thanks to John Muir High School for running such a great program, and for giving us a chance to play a very small part in it.